“The Process of Cultural Competence in the Delivery of Healthcare Services,” is a culturally consciously model of care that defines cultural competence as “the process in which the healthcare professional continually strives to achieve the ability and availability to effectively work within the cultural context of a client” (family, individual or community). It is a process of becoming culturally competent, not being culturally competent. This model of cultural competence views cultural awareness, cultural knowledge, cultural skill, cultural encounters and cultural desire as the five constructs of cultural competence. Cultural awareness is defined as the process of conducting a self-examination of one’s own biases towards other cultures and the in-depth exploration of one’s cultural and professional background. Cultural awareness also involves being aware of the existence of documented racism and other “isms” in healthcare delivery. Cultural knowledge is defined as the process in which the healthcare professional seeks and obtains a sound educational base about culturally diverse groups. In acquiring this knowledge, healthcare professionals must focus on the integration of three specific issues: health-related beliefs practices and cultural values; disease incidence and prevalence (Lavizzo-Mourey, 1996). Cultural skill is the ability to conduct a cultural assessment to collect relevant cultural data regarding the client’s presenting problem as well as accurately conducting a culturally-based physical assessment. Cultural encounters is the process which encourages the healthcare professional to directly engage in face-to-face cultural interactions and other types of encounters with clients from culturally diverse backgrounds in order to modify existing beliefs about a cultural group and to prevent possible stereotyping. Cultural desire is the motivation of the healthcare professional to “want to” engage in the process of becoming culturally aware, culturally knowledgeable, culturally skillful and seeking cultural encounters; not the “have to.” Cultural encounters is the pivotal construct of cultural competence that provides the energy source and foundation for one’s journey towards cultural competence. As we begin, continue, or enhance our journey towards cultural competence, we must continuously address the following question, “Have I ASKED myself the right questions?” The below mnemonic “ASKED” represents the self-examination questions regarding one’s awareness, skill, knowledge, encounters and desire. Although the below mnemonic can assist healthcare professionals in informally assessing their level of cultural competence, healthcare professionals may want to formally assess their level of cultural competence. For this purpose Dr. Campinha-Bacote developed the instruments, Inventory For Assessing The Process of Cultural Competence Among Healthcare Professionals – Revised (IAPCC-R) and Inventory For Assessing The Process of Cultural Competence Among Healthcare Professionals – Student Version (IAPCC-SV), which are based on her model of cultural competence and have established reliability and validity. Please refer to the website links on the IAPCC-R (link) and IAPCC-SV (link) for more information and psychometric properties regarding these instruments. The following comments reflect the development of Campinha-Bacote’s model of cultural competence in healthcare delivery. For more detailed information about the model refer to the publication, The Process of Cultural Competence in the Delivery of Healthcare Services: The Journey Continues, 5th edition (2007) published by Transcultural C.A.R.E. Associates. If you are interested in obtaining a copy of this publication, please refer to the following link: Resources. Please note that the four graphic/pictorial figures displayed on the bottom of this web page (as well as the above mnemonic ASKED model) are copyrighted and cannot be reprinted without formal written permission from Transcultural C.A.R.E. Associates. Thank you for your understanding of the intellectual property and legal copyright status of these models. The development of my current model of cultural competence has been an ongoing process of 19 years. This process began in 1991 when I conceptualized and named the model, “Culturally Competent Model Of Care.” In this first version, I identified four constructs of cultural competence: cultural awareness, cultural knowledge, cultural skill, and cultural encounters (figure 1, below). However, in 1998 I revised my initial conceptualization of the model for the constructs were very limited in scope and needed to be expanded to include new knowledge in the field of transcultural health care, and the pictorial representation of this model appeared linear. This first version of the model did not clearly depict cultural competence as a “process” and the pictorial representation did not express the interdependent relationship between the constructs. I also felt that cultural competence was more than just awareness, knowledge, skill and encounters. Therefore, in the second revision I added a fifth construct called cultural desire, modified the pictorial representation of the model as a Venn diagram to reflect the interdependent relationship between the five constructs, and expanded the definitions of the constructs of cultural awareness, cultural knowledge and cultural skill (figure 2, below). I renamed the model, “The Process of Cultural Competence in the Delivery of Healthcare Services,” to reinforce that it was a process. In 2002, the key role that cultural desire played in the process of becoming culturally competence became evident, yielding further revision of the model’s pictorial representation. I enhanced the model to symbolically represent a volcano. In this pictorial revision, cultural desire was identified as the construct that ignited the process of becoming culturally competent. (figure 3, below). Finally, in 2010, I began collecting evidenced-based research studies using my model and tool (IAPCC-R), and discovered that the pivotal and key construct in the process of becoming culturally competent was cultural encounters. With this added research-base knowledge I amended the pictorial representation to focus and center around the construct of cultural encounter (figure 4 below). The current model begins and ends with the seeking and experiencing of many cultural encounters and it is only through continuous cultural encounters that one acquires cultural awareness, cultural knowledge, cultural skill and cultural desire. From this perspective, cultural competence can be viewed as an ongoing journey of unremitting cultural encounters. My model, as well as a medley of other definitions and conceptualizations of cultural competence, has created intense discussion around the construct of cultural competence, questioning its true ability to address cross-cultural problems in healthcare delivery. One ongoing debate centers around the relationship between cultural competence and cultural humility, a term coined by Melanie Tervalon and Jann Murray-Garcia in 1998. This lively debate stimulated me to introduce a new paradigm of thought regarding the relationship between cultural competence and cultural humility that addressed the limitations of previous competing views. This paradigm shift challenges the on-going debates that suggests that cultural competence be redefined, replaced with cultural humility, or viewed in apposition (i.e. side-by-side) to cultural humility. This shift necessitates that cultural humility and cultural competence enter into a synergetic relationship, resulting in a combined effect that is greater than the sum of their separate effects. I coined the term ‘cultural competemility’ to describe this synergistic relationship. The origin of cultural competemility is the deliberate blending of the terms cultural competence (compete) and cultural humility (mility) to create the coined, term cultural competemility. It is my assertion that the term ‘cultural competemility’ has the potential to contribute to positively impacting the delivery of culturally conscious healthcare services and experiences to all patients, families, and the community. Cultural competemility is a conceptual framework derived from my two models of cultural competence: A Biblically Based Model of Cultural Competence in the Delivery of Healthcare Services and The Process of Cultural Competence in the Delivery of Healthcare Service. Cultural competemility is defined as the synergistic process between cultural humility and cultural competence in which cultural humility permeates each of the five components of cultural competence: cultural awareness, cultural knowledge, cultural skill, cultural desire, and cultural encounters. From this perspective, cultural competemility can be viewed as simultaneously being both a process of becoming and the process of being. Individuals must engage in the process of becoming culturally competent while synchronously being engaged in the process of cultural humility. Cultural competemility requires the healthcare professional to maintain both an attitude and a lens of cultural competence and cultural humility as they engage in cultural encounters, obtain cultural knowledge, demonstrate the cultural skill of conducting a culturally sensitive cultural assessment, and become culturally aware of one’s own biases and the presence of “isms” (e.g., racism, sexism, ableism, classism, ageism, anti-Semitism, heterosexism, colorism, ethnocentrism). The process of cultural competemility involves the total permeation of cultural humility into the five components of cultural competence. The result of this permeation can be symbolically represented in a rotating ambigram. An ambigram is a word, art form, or other symbolic representation whose elements retain meaning when viewed or interpreted from a different direction, perspective, or orientation. 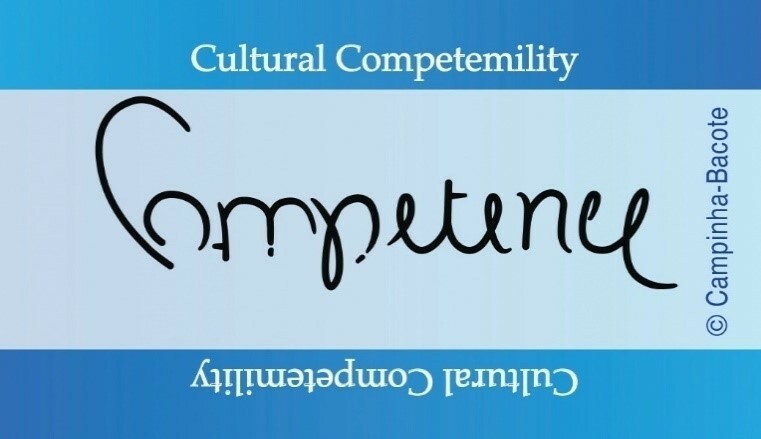 Figure 5 displays an ambigram in which the word competence, when flipped or rotated, spells the word humility. Thus, humility is found in competence and competence is found is humility. For the purpose of further illumination of the synergetic relationship between cultural humility and cultural competence, please refer to the article, Campinha-Bacote, J. (in press). Cultural Competemility Part I: A Paradigm Shift in the Cultural Competence vs Cultural Humility Debate. Online Journal of Issues in Nursing.